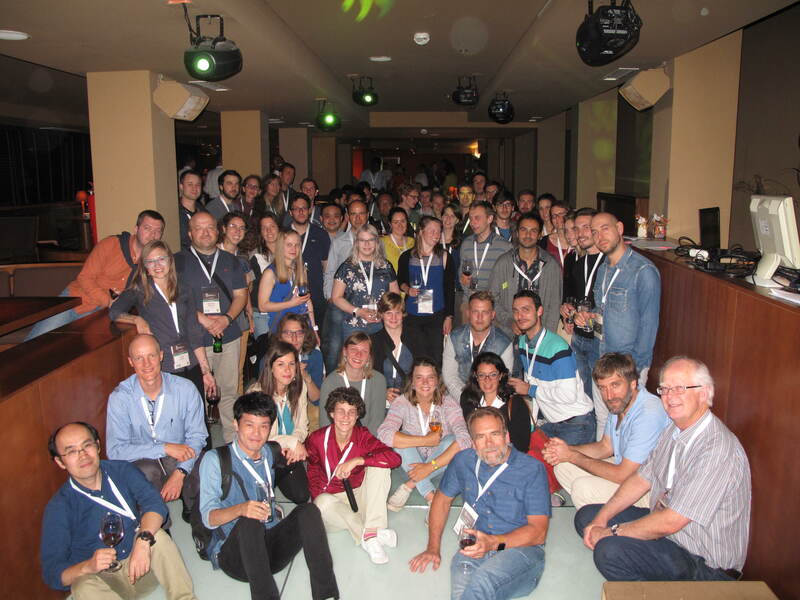 During the 44th IAH Congress in Dubrovnik, Croatia, the ECHN organised again several events with the objective to improve networking among early career attendees and also to share tips for career development. We were delighted to see a great turnout in all our events, with such enthusiastic participation of hydrogeologists from all over the world. The social function was held at the hotel’s disco, creating a good atmosphere of new encounters, conversations and dance. 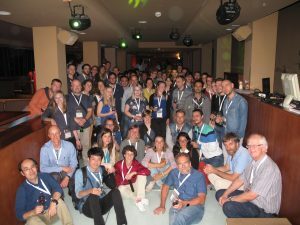 As one of the main aims of ECHN is to create links among hydrogeologists, beyond their own country border and/or present status, we invited all participants to show that we all share something in common. Question by question, we found hydrogeologists who work on karst aquifers, groundwater modellers, experts on field experiments, but also people who challenge themselves by moving abroad for their studies, and those that overcome shyness to present their research project for an audience. 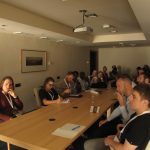 This continued with another challenge in which participants were randomly distributed in groups to solve a tricky problem – they had to try to recreate and reorder a presentation based on hydrogeological case studies from Croatia. Six studies were mixed together as part of the accompanying information; it was only through collaboration, demonstrating expertise in hydrogeological field experiments and lab activities, etc. that the participants found it possible to find the right solution. The Annual General Meeting (AGM) of the ECHN was held on Tuesday evening. 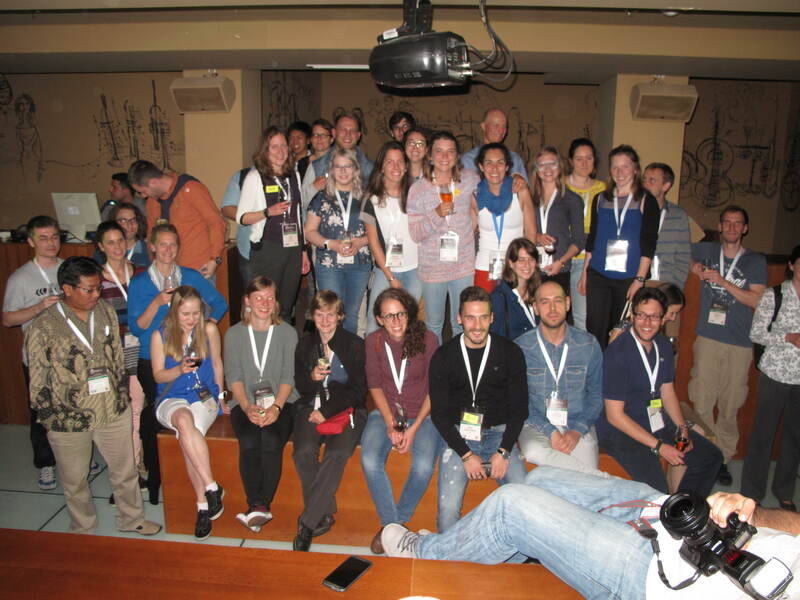 Some 19 attendees were present, most of whom were keen to learn more about how the network operates and showing interest in future efforts, including participation in ECHN’s steering committee. The special ECHN session this year was entitled “Successful projects: from application to management. – Tips from senior hydrogeologists in the government, industry and academia to early career hydrogeologists”. Again, this was a successful event with more than 30 early career participants, filling room capacity. We had the pleasure of three senior hydrogeologists as panelists: Rowena Hay, the director of the private consulting company Umvoto located in South Africa; Marco Petita, professor at the “La Sapienza” University of Rome, Italy; and Tibor Stigter, a senior lecture at IHE Delft, Netherlands. All shared their experiences of project management and career development. The attendees had opportunity to ask questions and interact with the panelists. – Laura Scheiber (Institute of Environmental Assessment and Water Research, Barcelona, Spain) – Best poster presentations. 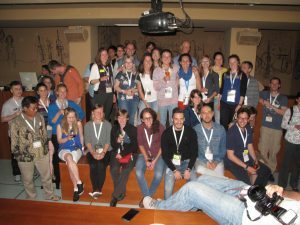 The first keynote lecture by early career hydrogeologists as invited speakers in an IAH congress was given by Viviana Re and Raquel Sousa. The title of the lecture was ‘Responsible (ground) water Scientists- A heritage for future generations’. 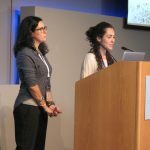 Viviana and Raquel talked about the challenges and opportunities for a new generation of responsible water scientists to reducing the impact on the environment by making conscious in our daily life, especially in respect to plastic based products. The lecture was well received by the congress participants and we certainly hope that ECHN can bring further topics for discussion in future IAH congresses Responsible (ground)Water Scientists – A heritage for future generations.